The Bottle Squad team are on vacation in London, enjoying the sights of the lovely city when they see the London Bridge crumbling down. So off the superhero babies go to help build the bridge again making it stronger. Bottle Squad is a superhero babies team, with unique superhero powers. They love going on adventures, engage in fun activities, explore new things, make friends, sing, dance and trigger the imagination. The Babies are smart, brave, kind, strong, cool, adventurous, heroic, best buddies and aspirational. As a team, they are a force to reckon with. The Bottle Squad team is here to alleviate the fears of kids and solve life lessons through adventures, activities and stories, having fun and being a friend to little toddlers. Always ready for a mission, they drink their bottles of rainbow milk and are ready to ignite their super powers! Being with The Bottle Squad team is a fun filled roller coaster adventure filled with humor, wonder and magic that you don’t ever want to end. 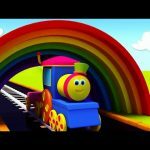 London Bridge Is Falling Down by Kids TV – The nursery rhymes channel for kindergarten aged children. 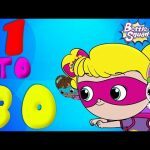 These kids songs are great for learning the alphabet, numbers, shapes, colors and lots more. We are a one stop shop for your children to learn the many joys of nursery rhymes. Subscribe to our channel and be the first to watch our latest fun kids learning animations!